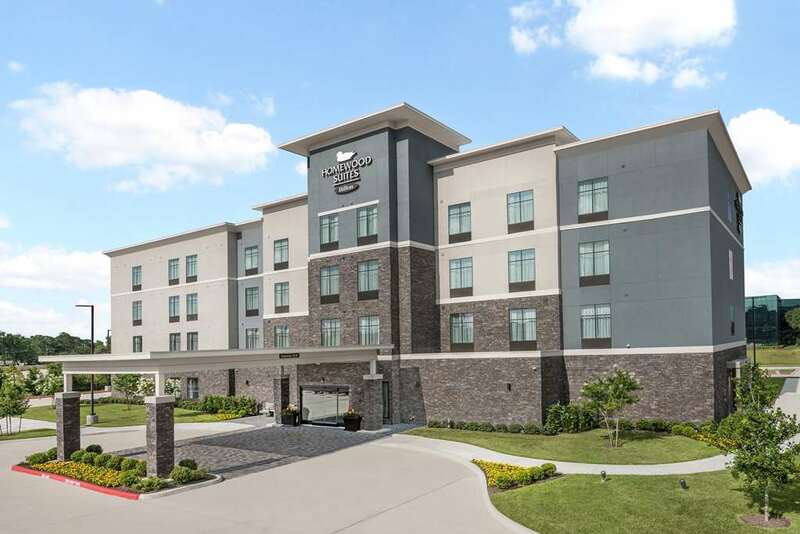 Welcome to Homewood Suites by Hilton Houston Memorial City. Our brand new all-suite hotel is conveniently located in the heart of Houston. Enjoy easy access to Memorial City Mall with our complimentary shuttle service. The Galleria and CityCentre are also nearby meaning you*ll never be short of dining shopping and entertainment options. We*re close to Memorial Hermann Hospital and only a short distance from iFly the indoor skydiving center. Business travelers will appreciate our 24-hour business center as well as our close proximity to nearby offices. You*ll feel right at home in your modern suite at this Houston TX hotel. All suites feature separate bedroom and living areas fully furnished kitchens and two HDTVs. Stay connected with family and friends with our complimentary WiFi. Wake up each morning to a free full hot breakfast and enjoy complimentary evening dinner and drinks* Monday Thursday. Maintain your fitness routine in our onsite fitness center or take a refreshing dip in the pool. If you*re feeling hungry stock up on snacks from our onsite convenience store. Host your next meeting at Homewood Houston Memorial City. We offer 650 sq. ft. of flexible space perfect for small meetings. *State and local laws apply. Must be of legal drinking age. Regional chain offering a menu of salads pizzas - sandwiches in a casual setting. - Nexen Petroleum U.S.A. Inc.
- Par Pacific Holdings Inc.